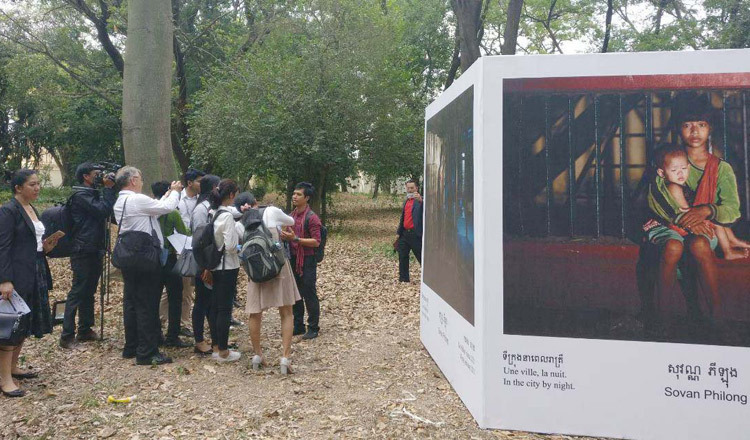 The French Embassy in Cambodia, the French Cambodian Chamber of Commerce and Industry and the French Institute in Cambodia organised the two-week long ‘French Fortnight in Phnom Penh’ that started on Saturday. 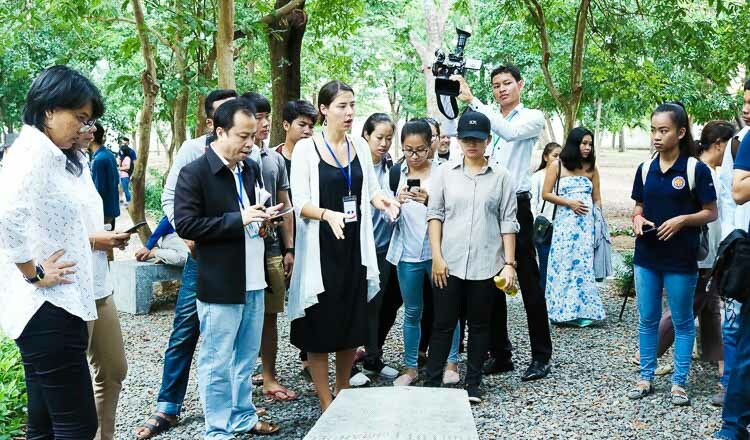 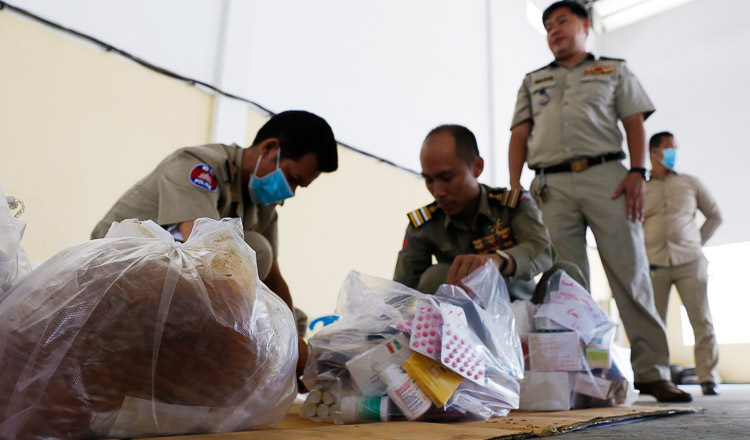 During these two weeks, various cultural, scientific and economic events will take place highlighting the cultures of France and Cambodia and the savoir-faire of French entrepreneurs. 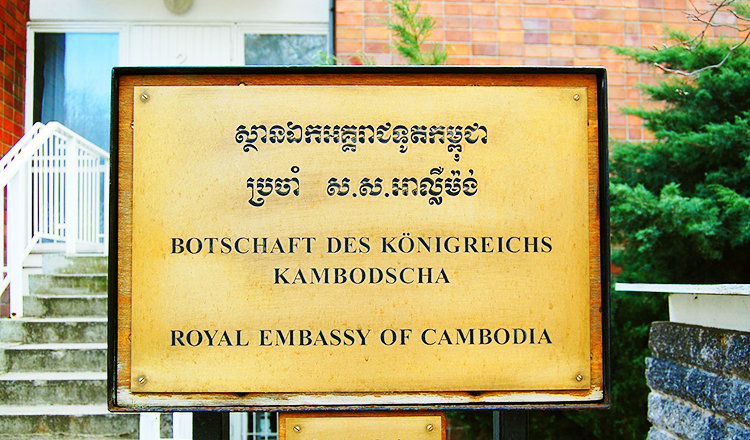 Among the many events, there will be a gastronomic dinner known as ‘Good / Goût de France’, the opening to the public of the Embassy’s gardens for an unprecedented contemporary art exhibition featuring Cambodian artists, a market showcasing French companies in Cambodia and the first edition of the French Cambodian Research Days to promote the development of research and scientific careers in Cambodia. 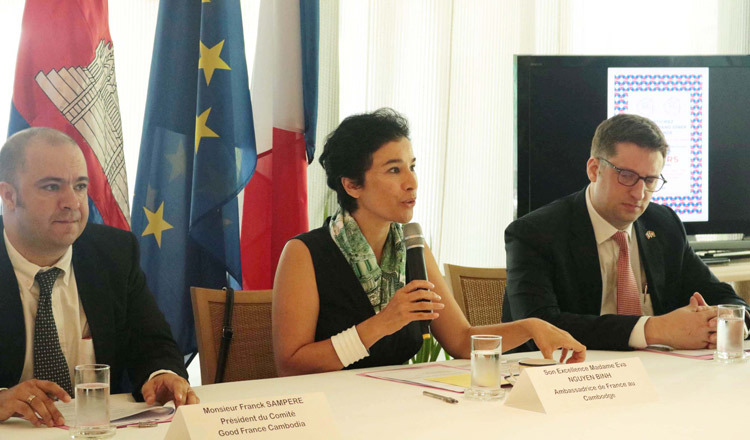 Guests and Media attending the French Fortnight at the Embassy of France in Cambodia. 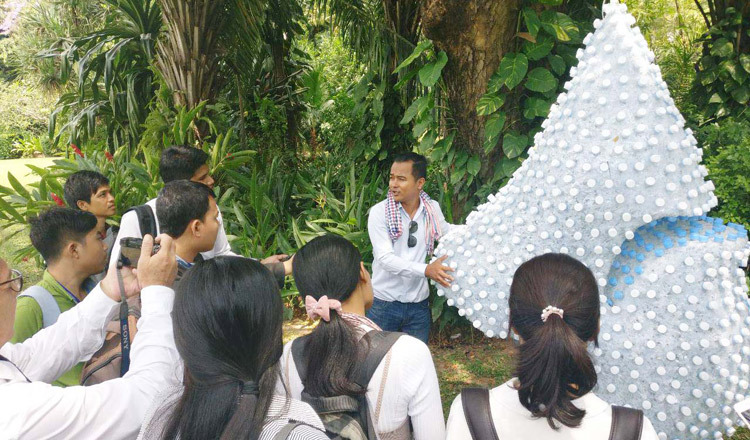 Sovan Philong, a freelance photographer from Kep Province showing his photos to visitors and the media. 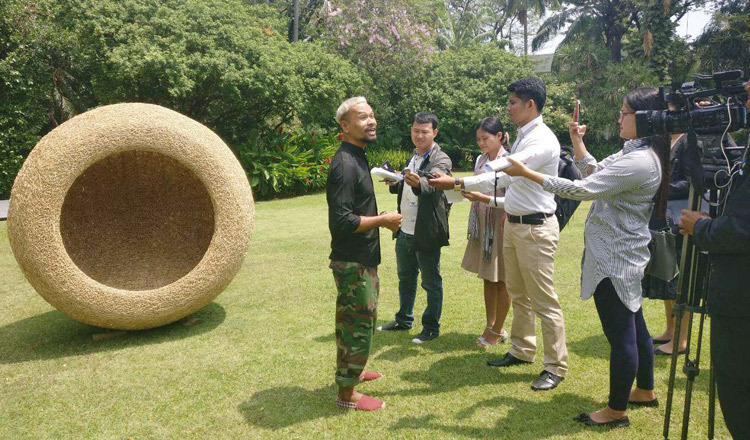 Riem Em, designer of Cheang Bak Vanhong Diamond answering media questions.